This post was not sponsored or endorsed by TerraCycle and reflects our own experiences and opinions. Parenting adds an extra layer of challenge to an eco-friendly home. At Force of Nature, we’re parents too, so we get that you’re constantly balancing how to manage a busy lifestyle with kids while doing better for our planet. One of the biggest hurdles: dealing with all the single-use packaging. From yogurts to puffs, the mountain of waste created by these convenient products is devastating. Even worse, they’re not always easy to recycle! We love finding easy recycling tips to help our community, and one solution that we’re currently loving is TerraCycle. Read on to learn more about our trial of this ingenious service. As we were researching easy recycle tips for our post on Eco-Friendly Home: 5 Quick Ideas To Jumpstart Your Way to Zero Waste, we found out about TerraCycle, a company that has taken on the challenge of recycling items that are tough to recycle, helping create a solution to recycling almost all of your waste. TerraCycle lets you search for commonly used items like single-use contact lens containers, dental care products, energy bar wrappers, laundry products and even unique products like instrument strings. 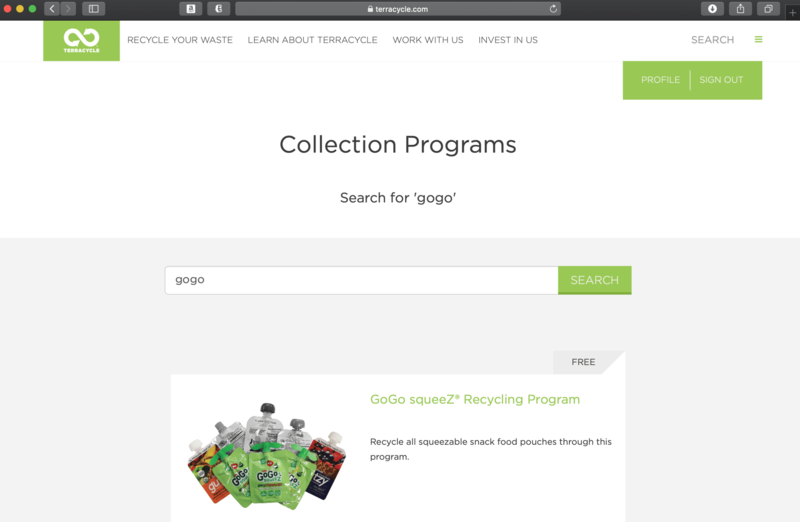 TerraCycle will display waste stream recycling options, many of which are completely free, thanks to partnerships that the company has struck with various brands. In other cases, as for action figures or alkaline batteries, you pay a one-time fee for a box, which you can then fill and send to TerraCycle. They also include paid options for regulated waste (like medical supply waste) and large scale recycling needs. Once received, TerraCycle reuses, recycles and upcycles the products, diverting them from landfills and incinerators. How cool is that? TerraCycle is Eliminating the Idea of Waste by recycling the “non-recyclable.” Whether it’s coffee capsules from your home, pens from a school, or plastic gloves from a manufacturing facility, TerraCycle can collect and recycle almost any form of waste. We partner with individual collectors such as yourself, as well as major consumer product companies, retailers, manufacturers, municipalities, and small businesses across 20 different countries. With your help, we are able to divert millions of pounds of waste from landfills and incinerators each month. 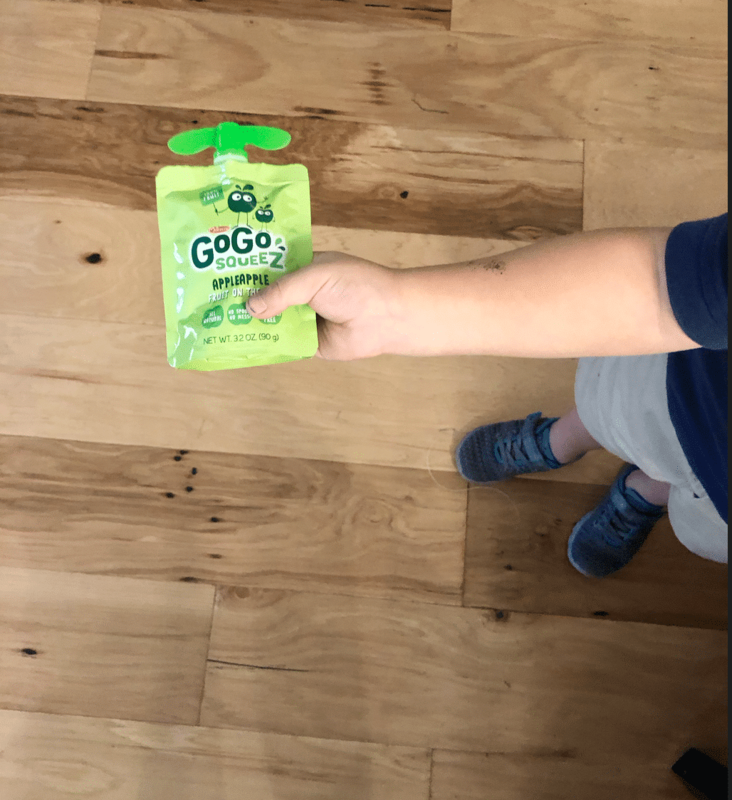 Our first step was to take a look at a tough-to-recycle product that we used frequently in our otherwise (mostly) eco-friendly homes: single-use containers of squeezable snacks. The convenience of these pouches cannot be beat, but the waste they leave behind makes us cringe every time they end up in our shopping carts. 2. Apply for a waste stream. 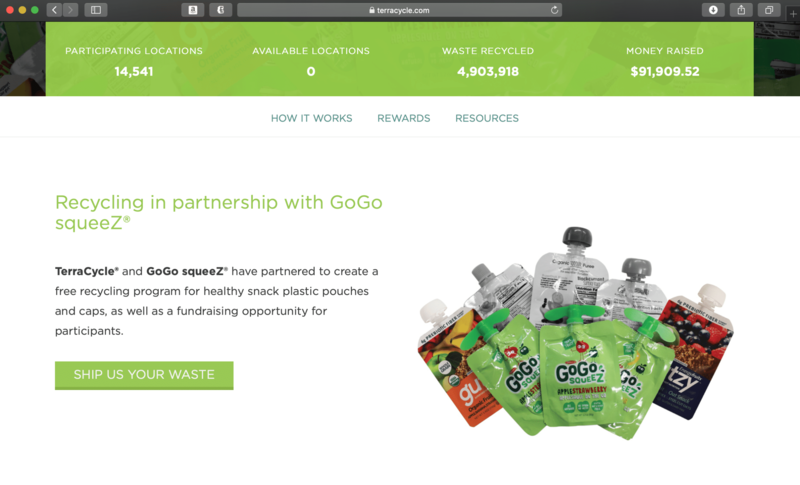 We then searched TerraCycle’s collection programs for the GoGo SqueeZ Recycle Program, which allows you to recycle not just GoGo SqueeZ brand products, but all squeezable snack food pouches and their caps. 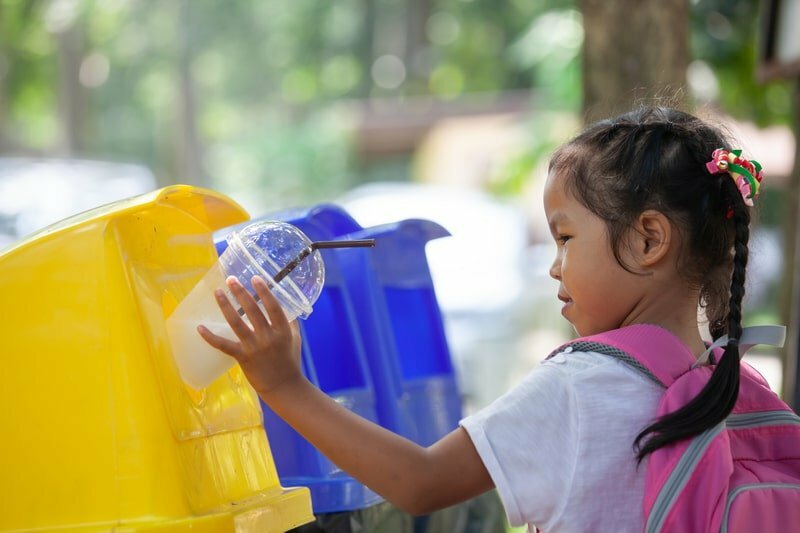 This is one of the things we love most about TerraCycle’s program – they partnered with brands to create free recycling programs not just for their own products, but products in that category. 3. Collect your packaging and prepare it for shipment. We repurposed a used gallon-sized plastic bag to collect our pouches. We followed TerraCycle’s directions on how to prep them for shipment. For this type of product, you simply ensure they are dry and empty before shipping them. 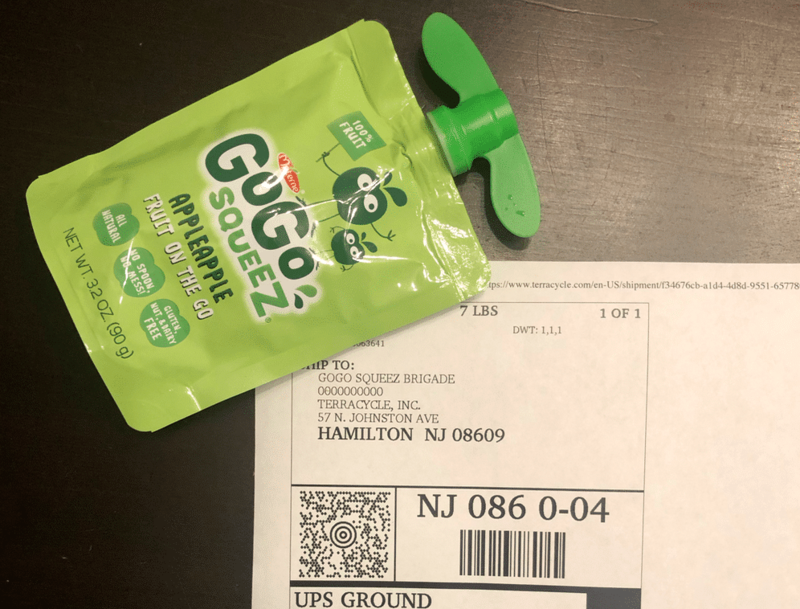 Once full, we reused a shipping box to package our pouches and sealed it up. 4. Print your shipping label and ship! 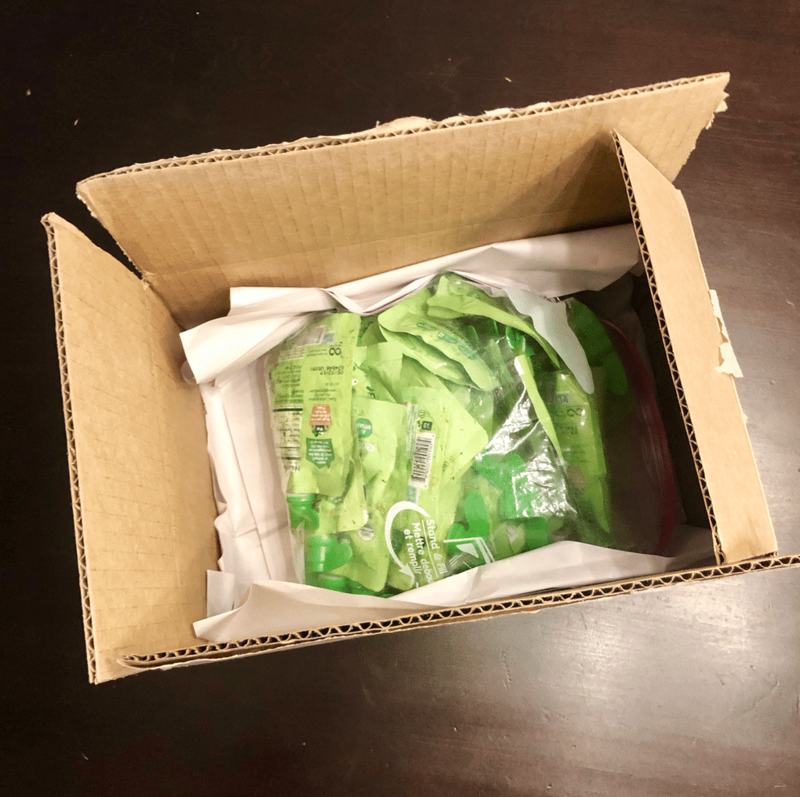 Once you’ve packaged your waste, all that’s left to do is request your free, one-time-use shipping label from TerraCycle and ship your package. That’s it! Once TerraCycle receives your waste, it’s recycled, upcycled or repurposed. TerraCycle keeps track of your shipments, so you can earn points that you can then use to give to charitable opportunities. We were blown away by how easy TerraCycle was to use and are excited to apply for more waste streams for hard to recycle items in our homes. We love knowing that instead of sitting in a landfill, our waste is being properly recycled or – even better – up cycled and reused! At Force of Nature, we’re dedicated to finding eco-friendly and non-toxic solutions to keep our families, and our planet, safer. It’s why we developed our revolutionary cleaning system, Force of Nature. It’s a little appliance that uses electricity to convert salt, water & vinegar into a multi-purpose cleaner as effective as bleach, yet gentle enough use around your kids. No rinsing needed, even on baby toys! And with zero toxic chemicals and re-usable bottles, it’s friendly to the earth too. Our commitment to keeping the earth & families safer is why we tirelessly research everything we can, from easy recycle tips to non-toxic product recommendations. For more articles on how to live a more eco-friendly lifestyle, check out our blog here. What is Electrolyzed Water? The 2 Minute Primer.